Divers usually think of being dropped on sand as a disaster of, well, floating over the desert proportions. They generally abort these dives, and abuse the skipper on coming to the surface: 'You dropped us in the bush!' being one of the milder comments. But sand isn't always boring. 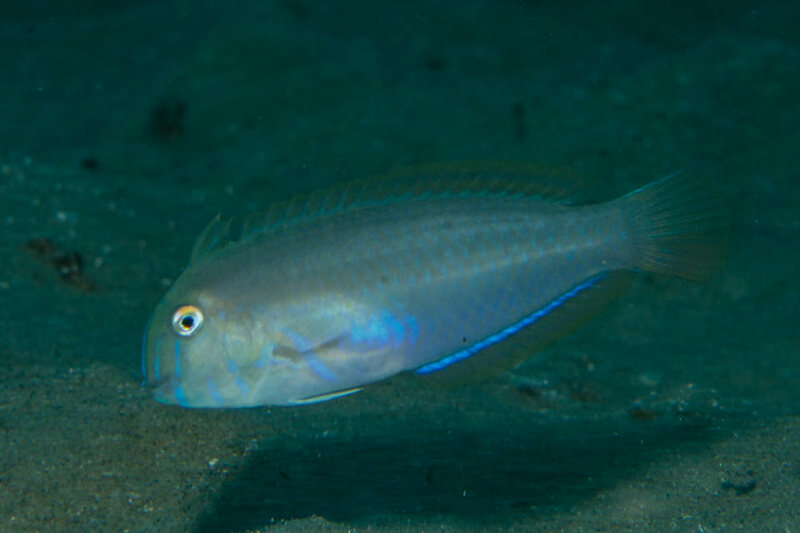 And in some places, sand diving offers a chance to observe some of the few pristine marine communities left in the ocean. The trick is threefold: deep(ish) water, good current and the right sort of sand. Because this is what sea pens like. And where sea pens congregate, intricate and unique ecosystems flourish. Sea pens are so called because some of them resemble the feathers used to make quill pens. They are members of the Cnidarians (say NIGH-dare-ians; it's from the Greek cnidos which means nettle), a huge group of animals which is characterised by having stinging cells, and which includes bluebottles, jellyfish, sea anemones, soft and hard corals and gorgonian sea fans. Sea pens are found in all the oceans, from the tropical waters over the equator to chilly polar seas and from intertidal mud flats to water deeper than 6km. They have varied body shapes, but all are formed from a large primary polyp that anchors in sediment using a muscular bulb (the peduncle). This polyp usually has a structural support inside it known as the style. Feeding polyps (autozooids) and water pumping polyps (siphonozooids) extend from the primary polyp in different arrangements depending on species. The feeding polyps have eight branched tentacles each, and these tentacles act to catch, overpower and transfer prey animals and other floating food to the mouth of the polyp. From there is is shared with the rest of the animal. 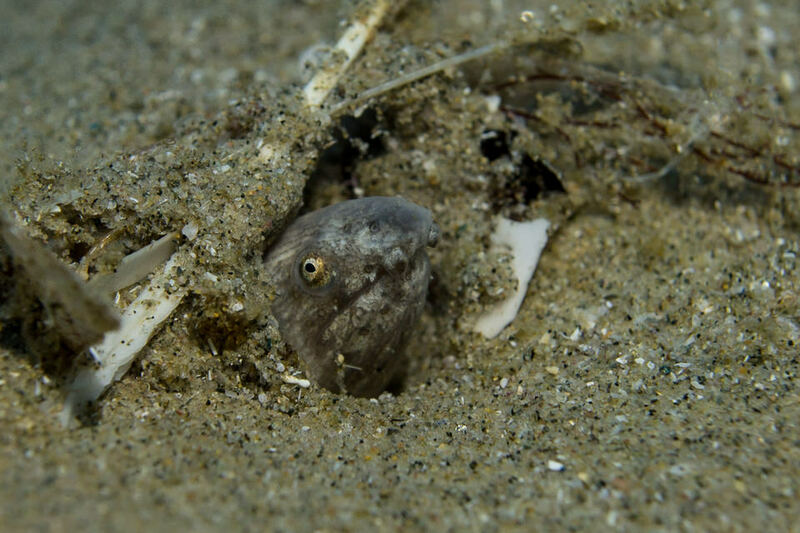 They use their water pumping polyps to push themselves in and out their home sediments and if conditions don't suit them, will occasionally crawl up out of the sand entirely, inflate their bodies with water, and float off in the current in search of a better location. 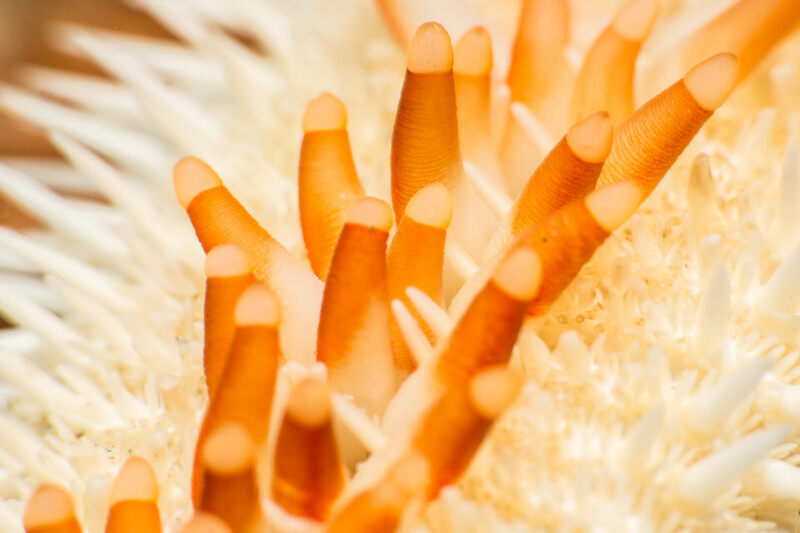 At any one time it is estimated that only a quarter of the sea pen population in an area is out above the sand, feeding. When it comes time to reproduce, most sea pens rely on broadcast spawning and, in shallower water, use light cues to synchronise their cycles. The fertilised larvae float in the plankton and when they find suitable sediment, they settle and change into their adult forms. They can be extremely abundant and generally don't show any signs of ageing, simply getting bigger and bigger all their lives (the biggest one known may extend up to 2m above the sea bed). They are considered the keystone species of their ecosystems and can be compared with, say, the wildebeest of the Serengeti. Which is to say, they provide the foundation for the ecosystem to exist. Firstly, all sorts of animals eat them. Some predators are so specialised they only eat sea pens. Small nudibranchs eat the smallest ones. Large nudibranchs eat the larger ones. 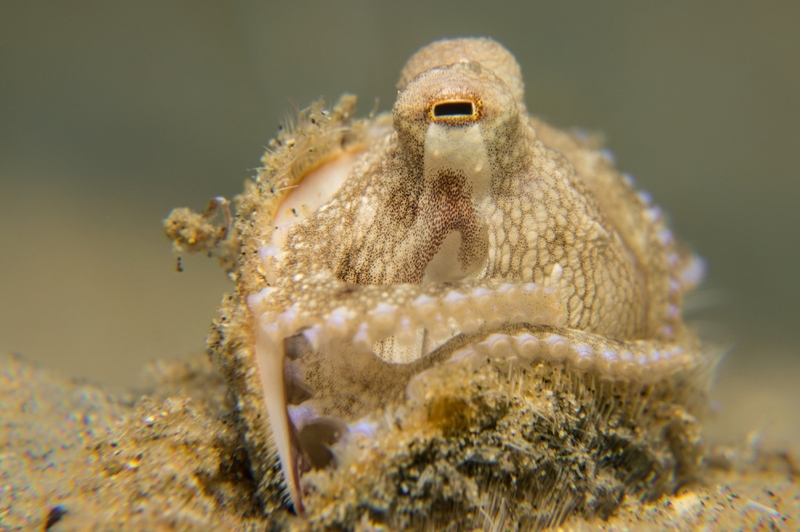 The marine snails also get into the act, as do the starfish. Turtles swoop down from the surface for a snack. It's no wonder sea pens don't get old: with all the predators after them, they don't have much of a chance. The predators, of course, have their own predators. There are nudibranch-eating nudibranchs. There are starfish which prey on the smaller starfish, and huge conch snails which prey on the big starfish. Then there are the animals which rely on the sea pens for shelter and structure. Juvenile fish shelter in their hungry tentacles. Exquisitely camouflaged shrimps take on the exact colour of their sea pen hosts. Sea horses use their primary polyps as anchors. 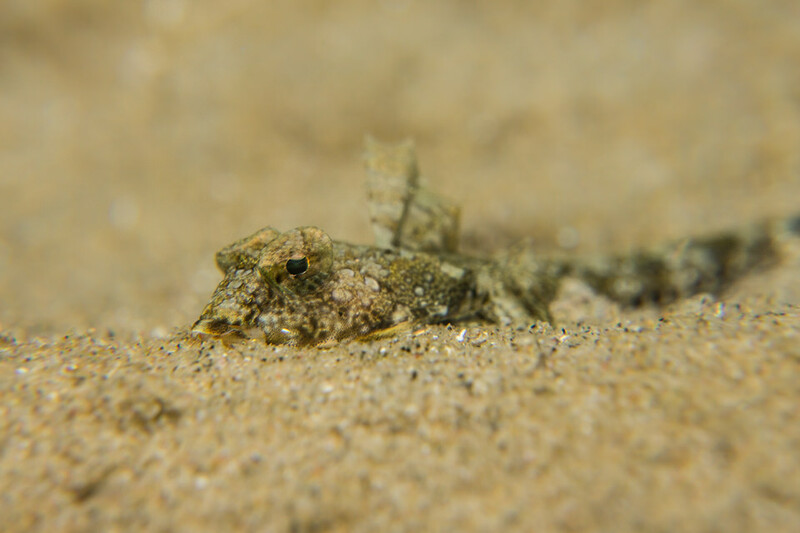 Tiny gobies live among the feeding polyps picking up scraps of leftover food as do minute crabs. Bigger fish roam the sea pen fields in search of smaller fish to feast on. Frogfish and scorpionfish lurk in search of unwary victims. 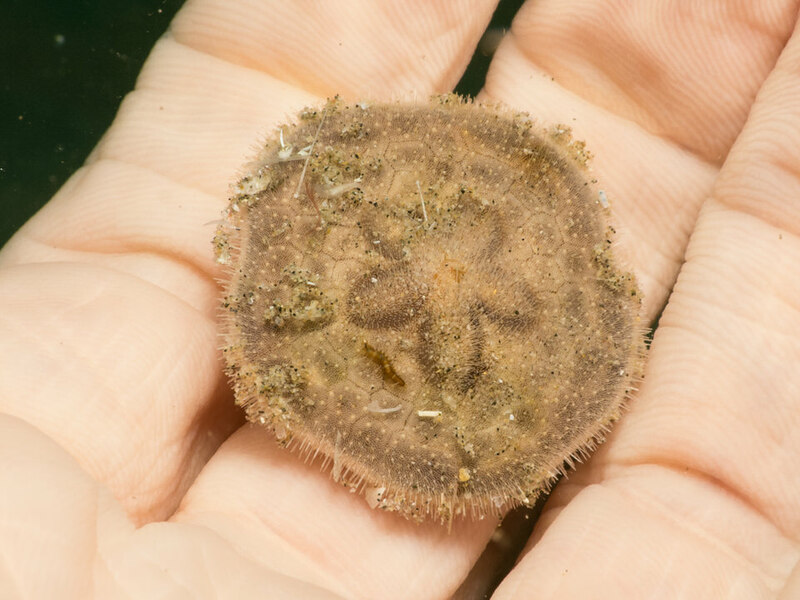 Other animals are attracted by the food-bringing current: urchins trundle along the sand floor investigating the subsurface for food. Occasionally they form up in battalions and march across the sea pen fields to an unknown destination. 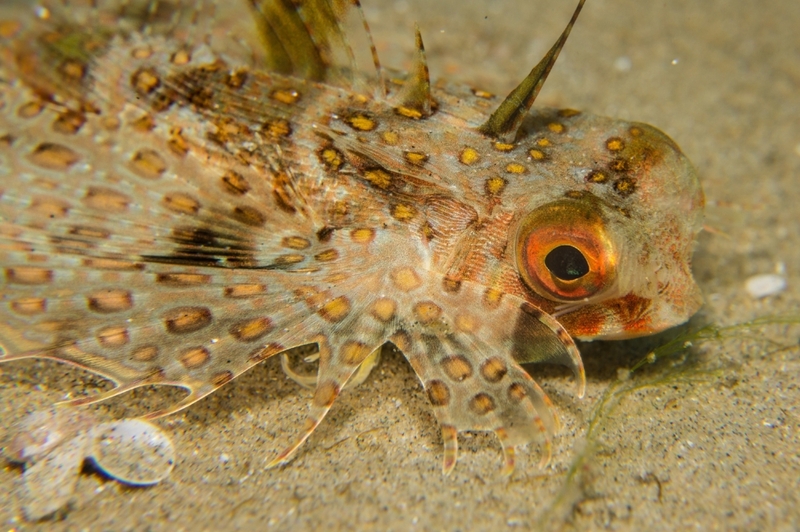 In their spines, more juvenile fish take shelter. 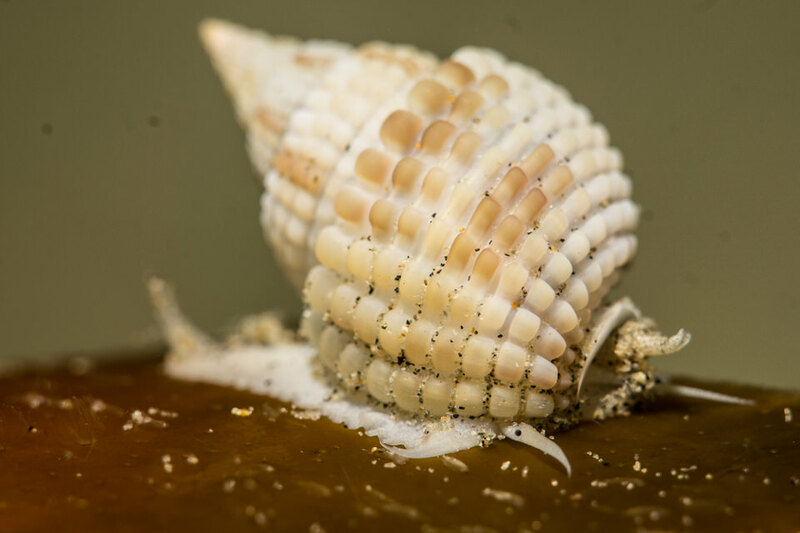 Burrowing hermit crabs search under the sand, giving themselves away by moving ridges of sand as they travel. 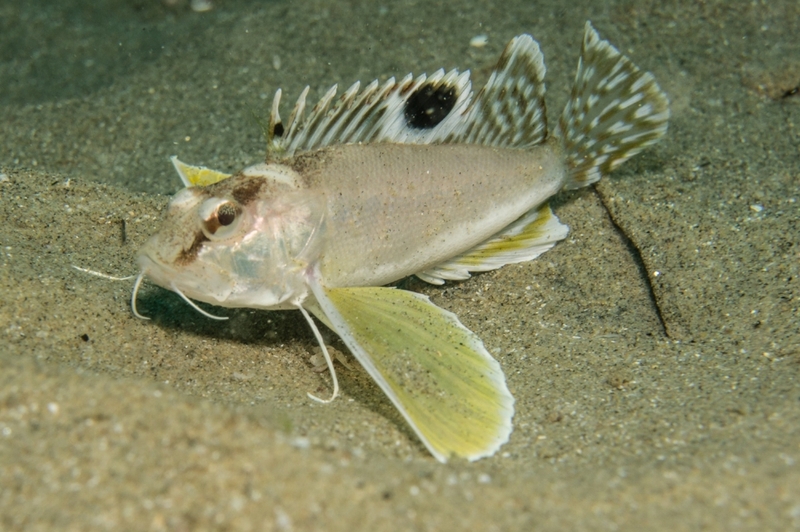 Guitarfishes and rays use their delicate sensors to detect subsand prey. The sand itself is rich with organic matter: leftover scraps of food, old exoskeletons, metabolic wastes: all these are food for the scavengers which cruise the sea pen fields. All in all, a visit to a sand dive, if it includes a sea pen field, can be one of the most interesting dives you'll do. And, if visiting at night time, it's worth bearing in mind that some species of sea pen are bioluminescent.